Chief Vs. 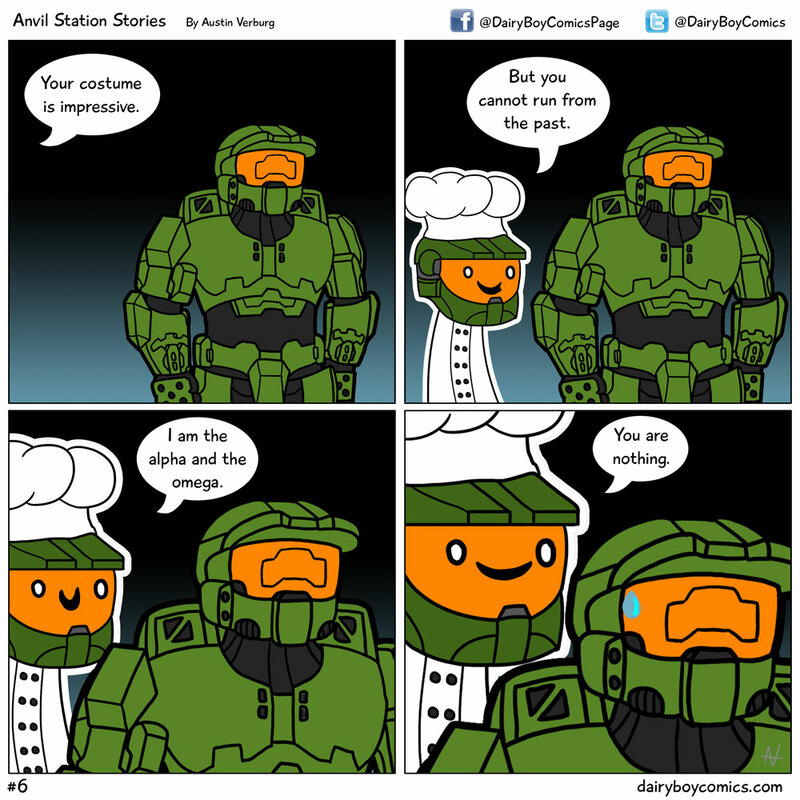 Chef – DairyBoy Comics! SO this year, I debuted my Master Chief cosplay. Which was quite well received. But on the last day of Comic Con, I dished out my Master Chef. And I’ve learned you just can’t beat a classic pun. The crowd response to Master Chef is just so much more intense. I get a kick out of how much people love it. Comic Con was fun as always. Back to work this week though. I have one more gag in mind for a cosplay comic I want to do, so I may actually do that again for this week’s post. I’m also making some decent headway on the script for the next Austin’s Inferno story arc. Stay tuned.